Bring your friends or book your private SUP lesson 7 days a week on the shores of Lake Huron. Learn important safety skills and techniques during a 90 min session with a certified coach. Book a lesson with us by clicking here! No matter what your age and fitness level is, or how much experience you have (or don't have), anyone can take part in one of our SUP tours and enjoy the views of our beautiful coast. Choose your distance and let us do the rest! We pack picnics and give instruction from one of our certified SUP coaches. These classes take your favorite yoga routines and put them on the water! Book a certified SUP Kids coach for any private lessons or groups! Look for our Facebook Goderich events for more info on our kids camps and workshops! Stand Up Paddle board (SUP) has been around for centuries. Starting in the Polynesian islands, it has made its way to North America and has become more and more popular in the Great lakes of Ontario. Trying SUP while on vacation, Clare fell in love with it. She made it her mission to become an instructor and teach anyone that wanted to learn. Combining her love of SUP and Yoga, SUNSET SUP was born. Combining these 2 seemingly different practices, together they make for an incredible experience. 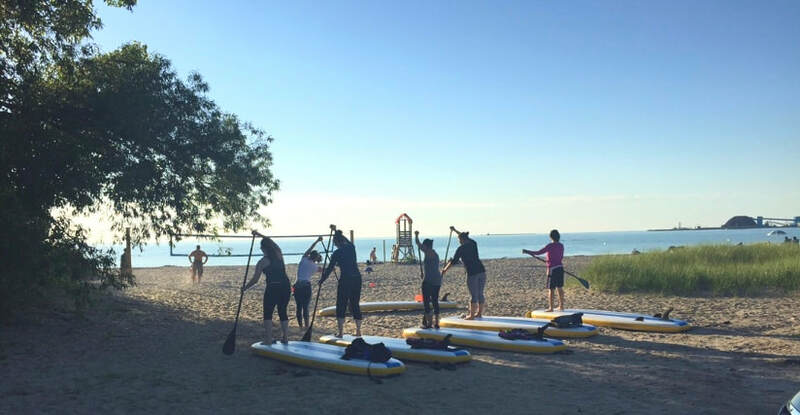 SUP yoga classes are at sunset and early morning on the calm protected Goderich waters. Our instructors are all certified through the WPA and ISA and also their bronze cross lifeguard training. Safety is the most important factor at all times. The weather conditions on the Great lakes can change rapidly. Always make sure to check the wind and weather before going out onto the water, especially alone! If you don't know or are new to the area and sport of SUP, PLEASE CONTACT us at SUNSET SUP for safe instructions on paddling on Lake Huron!! 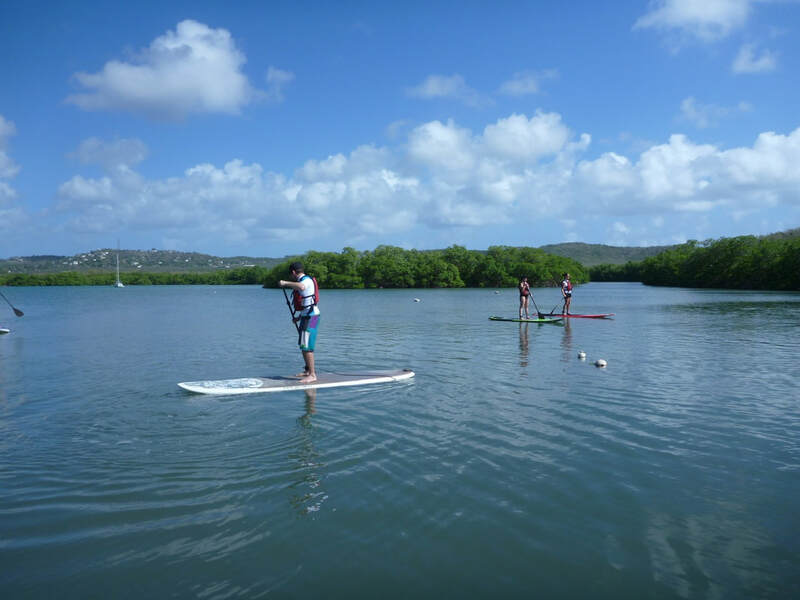 ​Our floating studio includes SUP Yoga, SUP fitness, beginner SUP intros, SUP Tours , Youth SUP , SUP Kids camps and anything you can think of that has to do with SUP ! ​Our studio also extends to a floating one starting in June. Our Pulse and Infinity paddleboard fleets offers a board for everyone. Our inflatable SUP YOGA boards are perfect for taking your practice onto the water, with soft deckpads easy on the knees and great for working on that headstand! Birthdays, bacholorette groups, team building for workplace events! We work with every group to make their experience special for them. On the water, we make sure safety is first priority. All of our instructors and SUP coaches are with their bronze cross lifeguard training. Our classes can be relaxing with yoga or hilarious and a workout with our Coast fit classes!